Natural Handmade Soap made from the very best natural ingredients using cold process soap making methods, handmade soap retains its glycerine which makes for a moisturising soap. No synthetic preservative or artificial colours are used in our Soap or Skin Care. Proudly New Zealand Made and Owned. Shampoo Bar is made with Neem Oil & Emu Oil. Fabulous for problem Skelps. Does not strip the hair. No SLS or preservatives. Wonderful non foaming natural cleanser based in a gel, does not leave your skin feeling tight and stripped of its essential good oils. Wonderfully Moisturising Body Butter with Shea Butter and Cocoa Butter blended in Avocado oil. Have a bath then lavish your whole body with Naturally NgaRoma Body Butter. Lip Balm, fabulously moisturising, easy to apply, no need to use your finger with our roll up tubes. Once you have tried the all Natural Naturally NgaRoma Mineral make-up, you will not want anything else. It's light, you don't even know you are wearing it. No blocked pores and best of all it has it's own natural Sunscreen. This Make-up not only looks good but it is good for you. "Try it, you'll love ittm "
Natural bristled brushes for Mineral Cosmetics are the best. This stops the powder from falling off the brush and gives a good coverage. Indulge in our beautiful bath products. Bath Salts are so relaxing you will never want to get out. Don't forget your pets, they need pampering too!! Pet soap and creams for those problem skin on your pets. Descriptive list of Ingredients contained in our products. We believe in Truth in labelling. You will get ALL the ingredients list on the product that are put into that products. Naturally NgaRoma Handmade Soap and Skin Care is proudly made in New Zealand. All our products are hand made in small batches and then shipped direct to your door. We specialise in natural formulations with no synthetic frangrances, dyes, preservatives or petro-chemicals. We use Organic Ingredients where possible. 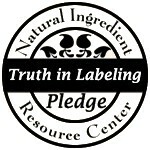 We do not test on animals and we support Truth in Labelling. Soy Candles are made from natural Soy Wax, no petrolium wax is used. Soy Was burns clean and lasts a lot longer than paraffin wax.